Now that we’ve officially entered the holiday season we will be hearing more about the need for charitable giving. Surveys indicate, in fact, that over 50 percent of all donations to charity are made between Thanksgiving and Christmas. According to Mint.com, a personal financial Web site, Americans give about $300 billion to charities each year and are the most generous people on Earth. It would take three French, seven Germans or 14 Italians to equal the charitable donations of the average American, Mint tells us. Americans voluntarily help their neighbors when they need it, and furthermore help people in need, anywhere in the world. They support causes they think are worthy, and it doesn’t matter that they do not have a lot to give; they give what they can. A biennial survey by Bank of America of 801 households with an income greater than $200,000, or a net worth of at least $1 million – those that Indiana University’s Center on Philanthropy say account for about two-thirds of all individual giving – showed that average giving by survey respondents decreased significantly last year compared with 2007. Like everyone else, the wealthy were hurt by the economic collapse and had less to spend on charitable giving, among other things. The Chronicle of Philanthropy reports that the 400 largest charities in the US saw a decrease of 11 percent in donations last year, the sharpest decline in 20 years of tracking donations. The larger organizations are still doing okay, but many smaller ones are feeling the pinch. Into this already troubling scenario is that the Obama administration and the Democrats in Congress favor allowing the Bush tax cuts that reduced tax rates for all taxpayers to expire for just this one group of taxpayers. They would extend them for everyone else. The tax rate for those Americans would jump from 33 percent to 39.6 percent, leaving much less money for them to use for charitable purposes. And if that isn’t a serious enough problem, the Obama administration further wants to decrease the charitable deduction and the real estate tax and mortgage deductions for these same households from 35 percent to 28 percent. 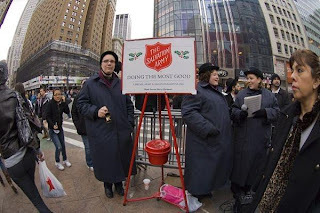 These changes are estimated to decrease charitable giving by about 2.1 percent, which in 2006 (the last year for which data are available) meant a loss to charities of almost $3.9 billion, according to the Center on Philanthropy. This would deter the efforts of the most generous Americans to do what they want to do, and what should be done, which is to share their wealth with those in need by donating to charitable organizations that help needy Americans. Rick Dunham, President and CEO of the strategic consulting company Dunham & Company, explains in practical terms what these changes really mean: “If the Obama plan stays as is, the tax burden of an individual owning a small S corporation with [total] taxable income of $250,000 would jump from 33 percent to 39.6 percent, or $16,500, which is 6.6 percent of the household income and close to the average of what these households now give to charity – $20,500.” Did you get that? Their tax would increase almost as much as the average amount they give to charity. Over the last several decades we have seen the federal government spend more and more of our tax money on problems that are the traditional focus of private charitable giving. Before government in its infinite wisdom decided that it could do a better job taking care of people in need, private charity took care of these social problems. Since government got involved, the problems have multiplied; there are more people receiving government “charity” every year. But government charity is not real charity, which is the willful giving of one’s own money to needs of one’s own choosing. What government does is take money from the people by force and use it for the purposes that the politicians deem appropriate, and that frequently means putting money where it does the politicians the most good. This system pays government employees to collect and redistribute the money, increasing both the size and cost of government, and wasting billions on salaries and other costs that charities would use directly to address community needs. It diminishes real charitable giving by robbing people of their means of supporting the needs they see in their communities, and it replaces the people’s judgment of the problems needing attention with government’s judgment. Think about charities that you know and donate to because of the good work they do. Ask yourself if your community will be better off if these organizations have less to operate with than in years past, or perhaps can’t continue to operate. Ask yourself if government really does a better job of addressing the needs of your community than these organizations, supported by your charitable contributions. Getting government out of the “charity” business would reduce the size, cost and power of the federal government, eliminate billions in taxes and spending, and return control of more of your money to you to support organizations that are more efficient at addressing these problems than government.